Can I vent a lil' bit? Silicones are bad. Shea butter is bad. They both dry your hair out and are bad. Don't use them. The irony of this post calling out what is bad, is the fact that it, in and of itself is bad information. Funny, right? I love blogging, and having done it since early 2012, I feel as though I've got a pretty good handle on most things natural hair related. I'm no guru, and I would never position myself as such. I didn't go to cosmetology school, and I would never pretend that I did. At most, I've got a firm grasp on Google, an inquisitive mind, and a few professional stylists I can bounce things off of. I have a deep appreciation for the ingenuity and desire to help that most bloggers and YouTubers exude. That willingness to freely give of information, advice, and tips is what makes the natural hair community as a whole one of the most unique spaces online and in real life. But there are two things I am absolutely not here for: bad information and lies. We'll tackle fraudulence another time, for sake of staying on topic. This rampant spread of misinformation thing? I hate it. It grinds my gears, gets my goat, runs me low, and bewilders me beyond measure. How do you, as a digital influencer not fact-check the information you disseminate, knowing the level of influence you have? To borrow from the logic of Luvvie, was Google broken that day? Could you not phone a friend? I'm not talking about popular opinion, or even personal preference. I'm talking about knowingly presenting and spreading wrong information that is potentially damaging and hurtful. If said influencer had prefaced her statement with "For my hair," or "In my experience," I probably wouldn't be writing right now. But she didn't, and continued to stand by her statement even as others (myself included) presented information counter to her claims. Even if you don't remove all of the silicones from your hair via washing, there is no data that exists to suggest that silicones act as a barrier between the hair shaft and moisture. The obvious exception to this is dousing your hair in serum -- then the silicones have the same affect as dousing your hair in any natural oil. Even though hair does absorb water from the environment, the dryness of your hair is more impacted by damage and natural lipid barrier. The Beauty Brains do raise one interesting point about whether silicones "wear off" or remain on the hair. We all know a little bit about water soluble cones, and silicones like cyclomethicone cyclopentasiloxane that serve their purpose and evaporate. They share that any shampoo will wash away silicones left behind from treatments and conditioners, but that co-washing will not be enough and could start to build up and weigh down the hair. I've stressed the importance of the occasional shampoo several times, and their findings support that fact. The issues that silicones potentially cause in terms of build up are the same issues that any styling products, natural or not, will cause. Truly, there is no difference or adverse impact to the hair. If you use a silicone containing product and you like the way it makes your hair look and feel, DON'T WORRY ABOUT IT! Don't feel guilty because some people tell you that it's bad for your hair. True enough, shea butter cannot hydrate the hair. It does not contain any water. Luckily for us, there are tons of different ways to reap the benefits of shea butter for natural hair. Many naturalistas use it 100% raw to seal in moisture. Others may go the DIY route and whip in aloe, carrier, and essential oils to create pomades and butter whips for sealing in moisture, defining twist outs, and more. And then there's folks like me who rely on the good people of Kyra's Shea Medleys, Alaffia, Shea Moisture, and others to create products using raw shea butter blended with other botanicals and hydrating ingredients. Ultimately, the decision to use silicones or shea butter in your hair regimen is your decision. I personally use both, and it has not adversely impacted my hair. In fact, since I got my hair dyed last October, products containing silicones have been integral to helping keep my hair on my head and assisting in leveling out the porosity issues that hair dye causes. Products containing shea butter, and in some cases raw shea butter has been super helpful in adding shine and maintaining softness in my hair that is prone to looking dull and dry on the parts that are colored. There's one last layer of ingredient shaming that rubs me the wrong way -- the fact that it comes across as looking down one's nose at naturals that do use those ingredients. Someone on the CG method isn't any better or more special than someone who isn't. The false sense of superiority and pretentiousness that comes along with ingredient shaming adds another highly unnecessary layer of false hierarchy in an arena that exists to support and uplift. To chastise a fellow natural based on their preference is unnecessary and a bit ridiculous. Live and let live, yo. Besides, I don't see Nap85 and her shea whips struggling.... nor do I see MoKnowsHair's tresses looking frazzled from silicones. Are you a user of shea butter or silicones? What's your take on the ingredient shaming that seems to be going on? Leave your comments after the "You Might Also Like" section! No parabens. No petroleum. No cones....the list goes on and on. I didn't have my coned up Aussie Moist I wouldn't have lasted my first year. We take one person's opinion and make it gospel for everyone. My old school hair loves ALL the no-nos. We need to stop the product shaming, for many reasons it can be counterproductive to the natural hair community. I agree 137%!!! Almost all of my holy grail products have silicones. I can't have a good wash day without Be Clean which has silicones (albeit water soluble). My favorite deep conditioner has cones. My ApHogee treatment has mineral oil... I'm with you! I have tossed so many effective products due to natural hair gospels. I now will use what works. If it doesn't work - I toss or trade. I think it is a way to promote consumerism. Buy this, buy that - keep going until you have tried all 200 products with all of your exclusions. This does make sense and keeps the billion dollar hair/cosmetics companies going. And what I notice is that it serves so many companies that are not ours. A great example: DevaCurl. They preach the anti-silicone gospel and I can't stand their products. Their DC is decent, but none of their other products do anything for my hair. It's such a racket. I don't usually give into hype, I know what works for my hair & scalp. That being said, I get annoyed when people say you shouldn't use a product without backing it up with scientific facts as well as proof. When I was (unknowingly) transitioning out of heat and color damage I used petroleum/mineral oil based products because that was what I had on hand and there weren't too many natural hair products around in 2010. When I saw articles about why mineral oil was bad for natural hair I decided to test the theory & unfortunately for me I found out mineral oil was the reason my scalp would produce dandruff. That wasn't the same story for my mom or aunt, just me. But I definitely didn't go around telling people that mineral oil was bad for them simply because I had an adverse reaction to it. I swear, people just need to take a breath and calm down. Lastly, I use shea butter & I LOVE products with silicones in them; it's a must for my deep conditioners & my staple conditioner, otherwise my comb will NOT get through my (Rebel) hair. SAY THAT!!!! And then say it again!!!! Everyone has to know what works for them. I could not have transitioned without silicones. In fact, when I was doing the max hydration method, my hair started feeling weak afterward, because there were no silicones to give me that buffering/gliding feeling I needed to work through my hair. Plus it's hard to find silicone free products with protein. With having color treated hair, I wouldn't go near a wash day without silicones. If something is causing you physical discomfort or creating issues, yes, then avoid it. But don't give out bad information. I appreciate sooooo much what you shared. Because of my psoriasis, I can't really hang with products that have fragrance within the first 5-7 ingredients because it irritates my scalp. But does that make all heavily fragranced products bad? No. Thank you for your comment!!! Good discussion for this article. I don't prefer products with non-water soluble silicones but won't throw it away if that's all it has. Unfortunately, alot of these products lately made for "natural" hair include these types of silicones along with DIAZOLIDINYL UREA (FORMALDEHYDE RELEASER), parabans (carcinogenic compounds), BHT, and methylisothiazolinone (potential neuratoxin). Popular products (which I won't name here) that can be found in beauty aisles of most stores have these ingredients in most of their products. I encourage to take a look at the ingredient list for these chemicals that can affect our health (and sometimes our life) and not worry so much on if it will "suffocate" our hair strands or not be washable by shampoo. I go to www.ewg.org to anytime I have questions on a chemical's affect on human health. PHENOMENAL advice!!! Thank you so much for that!!! Amen! I'm so glad I read this! I recently tried TGIN Moist Collection that is laden with silicones, but I loved what it is doing for my hair! I used to shy away and rebuke silicones from my regimen because of bad experiences I had in the past with them. I actually learned now, that it was my method of removal that caused my hair to be stripped and brittle and not the silicones themselves. Picking the right shampoo to remove them is essential. I think that could be the problem behind many naturals that are anti-cone. I for one and loving them again! Rauney, thank you! That's an EXCELLENT point. I think also what may conflate the issue is the lack of desire to use shampoo. The logic there dictates that if you use only CG products, you'll never have to use shampoo again. Really, with CG or not, you NEED shampoo. Thank you again! imma keep using that bad boy of shea butter. its THE ONLY thing that has worked to soften up my hair this far, and help my ends too.... so go on and preach your silicones and shea butter is bad for someone else. Imma take my chances and stick with this thank you much. Good day ma'am. Hi love! All ingredients work differently on different hair, and it could very much be that shea butter isn't for you. But before you rule it out, examine the other top ingredients in the product. It could be coconut oil, or something else. Or, the formulation of the product could just not be what your hair needs. 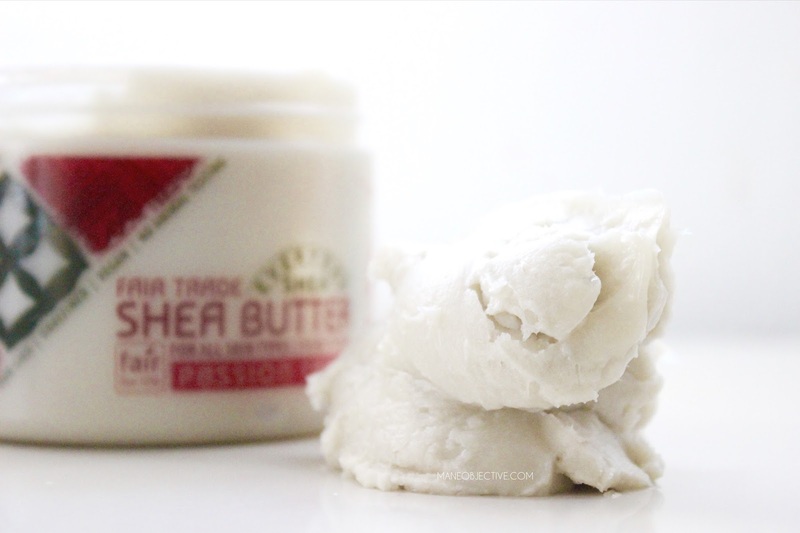 The only way to test out the shea butter theory is to try another product with shea butter high on the list. A great example is how I reaaaaaaally want to love Curl Enhancing Smoothie from Shea Moisture, but the formulation isn't for my hair. I do much butter with the Curl & Style Milk. Same line, similar ingredients, different formulation. You never know until you try! Hope this helps! Shea butter is the BUSINESS and no one is gonna tell me otherwise lmao! i use a sulfate free shampoo and aussie moist conditioner with cones is this ok? Sure is! As long as your hair continues to thrive, nothing is "off limits". Thanks so much for your article. I kept meaning to try the no-cones thing and was trying it for a couple of days. But I always have the halo of frizz to combat. So today I was putting natural oils in my hair, and I thought - what's the difference between this and silicones as far as a moisture barrier or my ability to wash them away with co-wash or a sulfate-free shampoo? Did a search and found your very helpful article - thanks for writing it and keeping it up! Thank you for this article!! I have tried the no cone route since I BIG chopped and went natural in August but my hair kept getting worse and worse! The dryness was real!!! Just used a conditioner with silicones and my hair LOVED IT!! Back in the day I had long beautiful curly hair and I used cones ALL THE TIME!!!! I do feel bad for you. Are you retarded ? Of course hair doesn't have lungs and nose, of course EVERYONE knows they don't actually breath in and breath out. It's a figure of speech. Like.. "makeup is too thick that my skin can't breath". Or innisfree brand's concept of "let the skin breath using innisfree's products with natural ingredients". Of course you fool everyone knows hair doesn't have lungs and breath. But try wrapping your whole body with plastic except nose, eye and mouth. Won't it save your from wasting water in bath ? haha.. The article itself is nice i guess saying what you think about silicone and shea butter. But really... that sentence is so funny that i couldn't focus the whole point of your draft. You're asking me if I'm retarded, but you're the one who can't spell and construct grammatically correct sentences....ok.
By the way, thanks for the click coins. Appreciate ya. Learn the difference between "breath" and "breathe". One is a noun, the other is a verb. You use verbs to describe actions, and "breath" is not a verb. You know what nouns and verbs are, don't you? I sure hope you do since you deign to call others "retarded" (which by the way, is an offensive slur). You can take a BREATH, or breathe. "Let the skin breath" is grammatically incorrect. And I didn't call anyone retarded - it was an offense hurled at me (if you bothered to read the initial comment). Thank you for stopping by! I have dry, frizzy hair and my stylist told me never to use shea butter. I started using it again and realized what I was missing. I've tried every kind of oil and miracle ingredient and only the "heavy" butters work. My hair is thin so shea kind of weighs it down, but it still looks a lot better than frizzy hair. "Experts" can never agree on advice, so people should use whatever works. I don't personally like silicones because I have thin hair, but if someone else has another hair type and that works for them...great!